Epicenter is the hub of the Memphis region's entrepreneurial ecosystem. Our team wakes up every day thinking about the opportunities our nonprofit organization and our network of business and institutional partners can provide to help local entrepreneurs start or scale their businesses. We are happy to share with VNC readers a few components of our strategy and programs for identifying, calling-out and intentionally working to remove all known barriers to participation and representation by all communities and segments within the expansive Memphis economy. We and our partners strive to create a just, inclusive, and growing economy for all Memphians. At the very heart of our work is our role in helping to propel a cultural shift in how our city views, supports and engages with Black-owned firms that are expanding their contributions of human and economic capital within our majority African-American city and the surrounding region. Epicenter's team and its collaborative partners aim to measurably increase support for new and scaling tech startups, creative and community-based businesses, student entrepreneurs and others, across industries and stages of growth, among every demographic and socioeconomic segment of our market. We work to connect local entrepreneurs to programming, capital, customers, and talent in order to create a thriving economy for all Memphians. Fresh impetus for these efforts has come in many forms, from many directions. However, no single factor has thus far shaped this initiative more than our collective realization that fostering company creation and growth among Black-owned business owners in Memphis -- a city with a population that is 62.6% African-American -- will translate into increased business revenue, employment, regional economic impact and opportunities for owners of Black-owned businesses to build family wealth that can also be put to work. The data are important: There are a reported 39,800 Black-owned firms in Memphis and altogether they generate an $1BN in revenues, which represents only 0.0083 of all Memphis-area business receipts. Non-Black-owned Memphis firms generate the $99BN balance of regional receipts annually. Also vital: Fully 98% of local Black-owned firms in Memphis are full- or part-time sole proprietorships, without a single payroll employee. Those sole proprietorships on average generate $12,800 in annual revenue - far too little to sustain a family or allow a founder to build wealth. In contrast, the 2% of Black-owned businesses in the Memphis area that have at least one paid employee generate average revenue of $626,000 - nearly 50 times that of the Black-owned sole proprietorships. Throughout the United States, fully 96 percent of all the 2.58MM Black-owned firms are non-employee sole-proprietor firms. But, if 15% -- roughly 380,000 -- of all Black-owned firms in the nation hired at least one additional employee, the result would be that Black-owned employer firms would reach parity with non-Black employer firms, according to the Association for Enterprise Opportunity. In 2017, AEO said researchers said that if Black-owned firms reached parity with all privately held U.S. firms, $55BN would be added to the nation's economy and 600K jobs created. These facts illuminate both disparity that cannot be ignored, as well as an opportunity for large-scale GDP growth and an untapped well for city-wide economic prosperity. 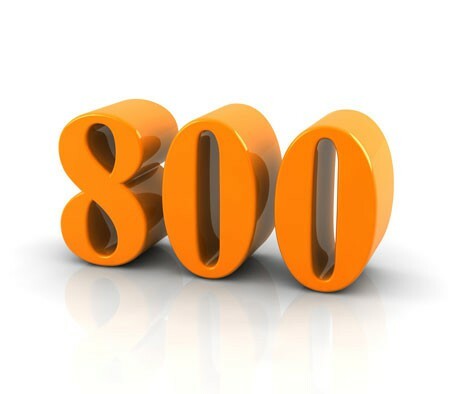 Acting upon this reality, in June 2018 Epicenter allied with Christian Brothers University, the City of Memphis, and the Start Co. venture development organization to launch The 800 Initiative. The 800 Initiative is a five-year, collaborative, $9.1 million plan aimed at growing all companies owned by people of color, but focused principally on black-owned firms in the Memphis region by building intentional connections to customers and capital, together with ongoing training, education, and mentorship. The 800 Initiative's view of its undertaking is well stated on its website, where it says in part, "Our community must shift how we measure the health of the minority business environment and view its authentic growth as essential to the overall success of this city." Among the goals of the 800 initiative are to (a) grow the revenue of "the 800" Memphis-based Black-owned firms that have paid employees by an aggregate $50MM; and (b) to transform perhaps 200 potentially scalable Black-owned firms that currently have zero employees, by first growing their businesses to at least $100K annual revenue and then moving them into the category of companies with paid employees. We have numerous complementary initiatives afoot: For instance, to help entrepreneurs surmount the pre-seed, seed, early-stage and Series A/B and growth-funding hurdle, we seek to eliminate systemic barriers that entrepreneurs may encounter as they seek outside investment capital and other funding. Toward that end, in 2018 we launched and continue to pilot a Friends and Family Fund, designed to address needs of founders with inadequate access to traditional "friends and family" investment, as is often the case currently for communities of color and Women; and, for small entrepreneurial businesses confronting a one-time capital milestone. The Friends and Family pilot was funded at $150K and a target for future fund size will be determined later this year, following the pilot. Participation in this program is available only to companies engaged in Epicenter programming and/or by referral via a current Epicenter partner organization. Also in 2018, we also launched the $15 million Memphis Small Business Opportunity Loan Fund, a partnership with Pathway Lending, a regional nonprofit CDFI. The fund is intended to improve access to capital, particularly for minority- and women-owned businesses. Initial capitalization of the fund was provided by Pinnacle Financial Partners, First Tennessee, and Regions Bank. Prior to that, as was widely reported at the time, Epicenter won a $10MM Challenge grant from FedEx, resulting in securing at least $40MM to support operations, grants to partner organizations, startup investment and other purposes. Additionally, in 2018 we began informally convening the Memphis Investment and Advisory Club, an invitation-only monthly angel investor and advisor gathering, with an eye toward building support for scale-up or startup businesses. The group is already generating critical connections to customers, partners, and board members, as well as more than $1.1MM in new investments. Our new efforts are built upon previous gains on several fronts by Epicenter, teaming with affiliates and partners. For example, since 2015 the nearly 500 entrepreneurs with whom we have engaged have been 56% African-American and 55% women. Moreover, 17% of the founders of tech-based companies in the portfolio of our venture capital partner, Innova Memphis, are African-Americans, and 25% of its portfolio founders are Women. Among VCs nationally, the corresponding averages are less than 1% and 14%, respectively. This is but a glimpse of entrepreneurship, small business, communications, education, capital formation and other pro-business and entrepreneurship initiatives underway in Memphis. 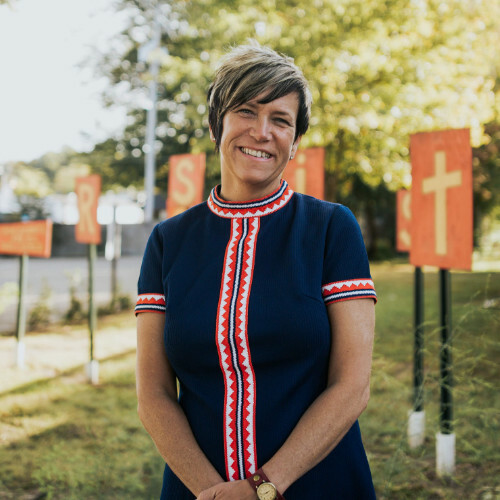 Leslie Lynn Smith began leading Epicenter in March 2015. Detroit-born, she was previously president and CEO of TechTown and earlier was the Michigan Economic Development Corporation's director of business acceleration. She and her husband and their children reside in Memphis. She earned her master's in public administration and her bachelor's in business management, at University of Michigan - Flint campus and at Cleary University, respectively. Her LinkedIn is here. Earlier VNC/VTC coverage here and here. Epicenter is a dba for Vibrant Memphis Inc., a 501(c)(3) nonprofit chartered in Tennessee. Smith had originally begun the work now carried-on by spin-off Epicenter while a VP for Memphis Bioworks Foundation. Epicenter's for-profit subsidiaries -- Epicenter Memphis Capital LLC and Epicenter Memphis Formation Fund LLC - are designed to hold future investment funds.- Ed.